Liquid Bokashi / Authentic Advanced Formula / Cultured with Rare-Earth Elements and Minerals - Liquid BOKASHI ~ Helps protect plants, animals and soil from drought ~ Mannaterra inside!! We're pioneering a new field of science! Our AUTHENTIC LIQUID BOKASHI is made by combining organic rice bran [NON-GMO] with our core biotechnology ~ "MannaTerra." 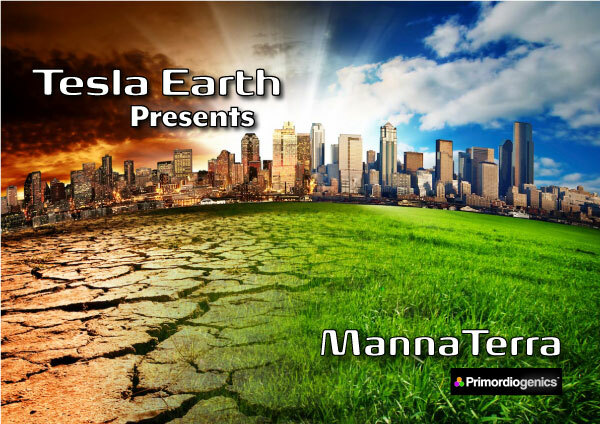 Considerable amounts of time, money, energy and resources have been invested in proving the feasibility and efficacy of our patent-pending, core technology, MannaTerra (TM). View the GALLERY for a brief look at our history. We have tested extensively, the core components of this “state-of-the-art” regenerative formula. Liquid concentrates of MannaTerra are deliverable in containers ranging from 100ml (home-gardener bottles) up to 30,000 liters stainless steel tanker trucks (for industrial agricultural applications). 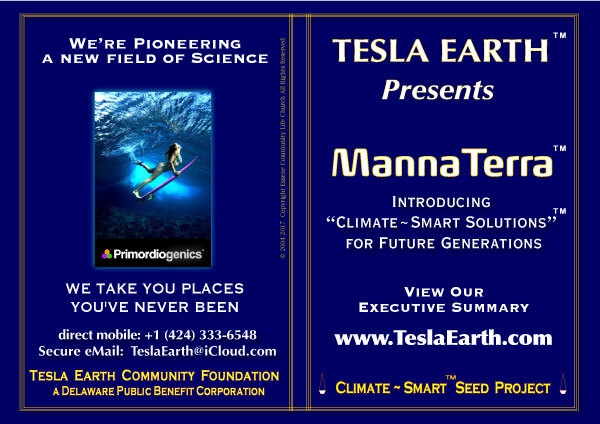 We BELIEVE ~ that our core technology MannaTerra is destined to play a major role in the resuscitation of our home-planet, Earth. For the sake of our children and for future generations, we must repair the damage that we have done, as humans, during our period of ignorance. Let's celebrate the healing process together! "Sustainability is a Way of Life"
We HOPE ~ that you will join us in our efforts to restore balance to Earth's delicate biosphere by using our "Authentic Liquid Bokashi" around your home, office, community gardens and schools. 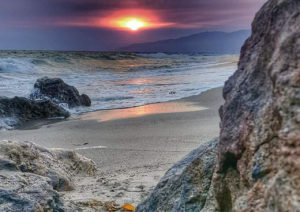 WHERE the magic resides: "Our ocean is the largest, most~ancient and well~balanced collection of compost on earth," This means that every known rare~earth element and mineral is present in the ocean and is available for harvest. This includes Humic and Fulvic Acids derived from both, Jurassic (250 million year-old pristine DNA) and modern DNA from forests, rivers, lakes and marine-based flora and fauna. HOW we do it: We extract this essence from the ocean as a naturally homogenized collection of essential elements and minerals. Our processes boast a "negative carbon footprint," which is extremely rare in most ancient and modern technology. WHY it works so well: We make this collection of essential elements and minerals available exactly as they come to us prepared by Mother Nature herself ...in their most pristine state, as a standardized blend of essential, non~soluble, rare~earth elements and minerals. We then feed these rare~earth elements and minerals to our symbiotic and probiotic microbes. So, as a direct result, our symbiotic and probiotic microbes are exceptionally virile, hearty, robust, energetic, vibrant and zestful! WHEN enough is truly enough: It takes 4,000 kilos of Rose petals to make 1 single kilo of Rose oil essence! ...that's a 4,000:1 ratio. Similarly, we extract the essence of the ocean and feed it to our proprietary blend of symbiotic and probiotic organisms. It's rather like providing a huge buffet of delicious essential nutrients to the microbes. So... WHAT's the big deal? Microbes propagate and reproduce at an exponential rate, multiplying themselves by the millions and billions within hourly increments. As these microbes propagate and multiply themselves, these probiotic microbes leave behind various types of metabolic residue, some of which, form silken threads, that turn into a thick, woven carpet of super~nutrients, common nutrients, proteins, and sponge~like, absorbent and adsorbent materials. This tapestry-of-life thereafter holds humidity that is sequestered from the atmosphere (even when it doesn't rain). As they propagate and multiply themselves, the micro~information and DNA~updates which the microbes inherited (from the elements and minerals, fulvic and humic acids), are passed~on to other life~forms (fruits and vegetables, trees, ornamental flowers, medicinal herbs, farm animals, pets, along with other fauna and flora) who, then have an opportunity to incorporate the updates into their own RNA~DNA evolutionary processes. "Enzyme production in the human body is essential to our metabolism and fundamental to all vital processes." Enzymes control cell-division and the replication of DNA itself - Since enzymes are made up of minerals, the importance of a complete array of minerals becomes apparent. Humic and Fulvic Acid - The ocean is a massive collection of well-digested, premium-grade, compost. It is therefore, our planet’s largest natural source of a balanced, complex array of rare-earth elements and minerals: the very building-blocks of "life-as-we-know-it." 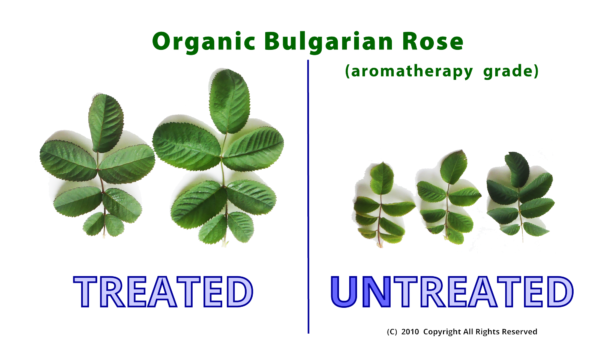 We make this innovative blend available to you as the world's first, "AUTHENTIC LIQUID BOKASHI"
We're pioneering a new field of science called "PRIMORIOGENICS"
Use our products to restore balance to Earth’s fragile biosphere! Enzyme production in the human body is essential to our very existence. Enzymes control cell-division and the replication of DNA itself - Since enzymes are made up of minerals, the importance of consuming a complete array of minerals becomes increasingly evident. Through the miraculous alchemical wisdom of Mother Nature, humans have been swimming in this gigantic pool of compost and natural, 'marine-based sewage' for countless generations (with many decaying sea animals and plants, as well as the biogenic residue and feces from all of that underwater life!) ... and yet, the ocean heals the human body and typically doesn’t make us sick, unless humans are discharging industrial toxins into the water! For example: 4,000 kilos of rose petals makes 1 kilo of rose essence! We first make an extract of Ocean Essence from seawater (Ocean Essence is a primary ingredient in MannaTerra). 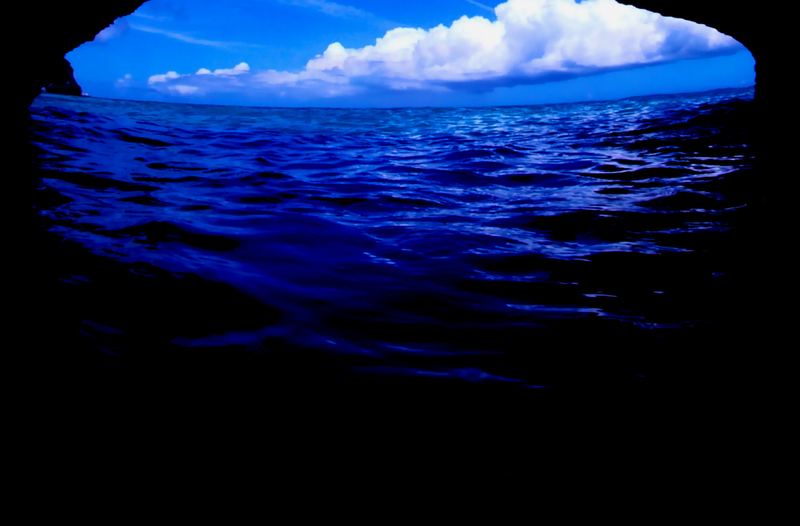 We then "feed" this essence of ocean water to our symbiotic and probiotic microorganisms. Our blend of symbiotic / probiotic microorganisms are propagated in a medium which includes all of these rare-earth elements and minerals. Microbes propagate and reproduce at an exponential rate, multiplying themselves by the millions and billions within hourly increments. "Enzyme production in the human body is essential to our very existence." Our blend of symbiotic / probiotic microorganisms have been present in the human food-chain for thousands of years. Use our products to restore balance to our Earth’s fragile ecosystems. Human DNA is over 90% identical to that of probiotic microbes. The DNA and metabolic residue of Microbes is essential to healthy soil, healthy plants, healthy pets, healthy animals and healthy children. Simple safe and easy to use ! 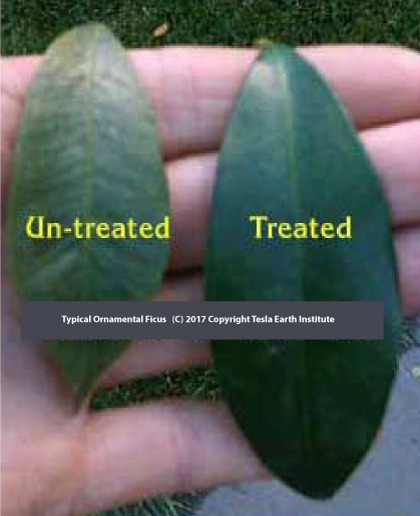 When properly diluted and applied, MannaTerra initiates repair of Earth’s fragile ecosystems; and helps to save plants and animals from the ravages of drought, Mitigates damage caused by TOXIC residue from synthetic fertilizers, Fungicides, pesticides, herbicides and other human waste. The concentrate must be diluted appropriately according to instructions. Liquid Bokashi… It’s alive !! 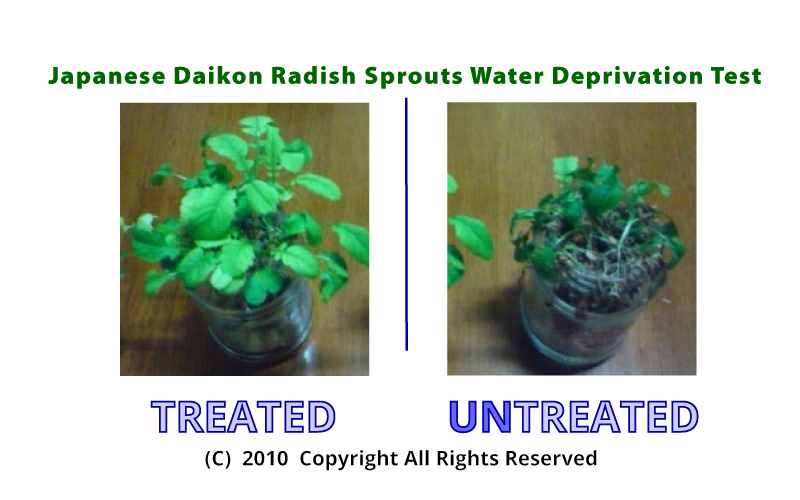 How to Propagate the probiotic microbes that rest dormant in your Liquid Bokashi and expand its effective application rate. Liquid Bokashi microbial products can be propagated and expanded because It’s Alive! 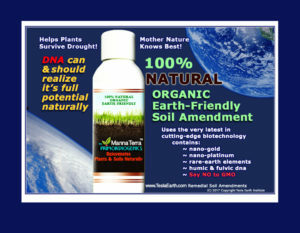 The simplest way to use the product is to dilute the Liquid Bokashi/MannaTerra solution with water at the proper ratio, feed the “Primordiogenic Microbes” therein, with molasses, and allow them to multiply (propagate them) prior to applying the solution to the soil, as follows: (*starting with a 12oz bottle of Liquid Bokashi): mix well, together the following 3 items [A,B-C] (*in a 5 gallon container) – [A.] ~ 1 part Liquid Bokashi and [B.] -1 part molasses, into [C.] 8 parts water (distilled water or spring water), stir it vigorously. Allow a day or two for the microbes to transition from dormant state to active sate, and increase in population (24-48 hours, at cool room temperature). Again, apply the solution promptly after the microbes have been resuscitated and their population has been multiplied . Apply the newly created solution to wet or (at least) moist soil. DO NOT apply directly to dry soil. For best results ALWAYS wet the target soil thoroughly. If you are an enthusiastic gardener or cook, you will enjoy propagating the probiotic microbes, in order to give them a jump-start.. Liquid Bokashi works perfectly well by simply diluting it and applying it to the soil as described: (*starting with a 12oz bottle of Liquid Bokashi): mix together (*in a 5 gallon container) – 1 part Liquid Bokashi and 1 part molasses, into 8 parts water (distilled water or spring water), stir it vigorously. Allow a 24-48 hours for the microbes to grow and increase in population (1-2 days at cool room temperature). Thereafter… Pour and mix in vigorously, additional distilled water or spring water (or clean city tap water) until the (*5 gal.) container is full to the brim. Seal the container well and allow it to propagate for an additional 1-2 days. Then apply this activated and diluted mixture to the target soil immediately. But by culturing the microbes it will accelerate the process, but you must be very careful to keep the pH above 6.5-7, and ideally above 8.5. This process is sometimes referred to as “Activation” or “extension” but, what’s actually occurring is “propagation.” You are propagating and multiplying the total number of microbes and allowing them to feed on the molasses that you’ve given them . When you provide “feedstock” in the form of molasses, the dormant (sleeping) spore/seed of microbes are reawakened (the seed/spore are resuscitated). This does not mean the microbes in Liquid Bokashi are not alive; they are delivered in a dormant seed/spore state. Activation or resuscitation of the seed/spore involves taking 1 part Liquid Bokashi, 1 part molasses, and 4 (and up to 12) parts water. The ratios can be rounded up or down a little bit according to the size of the container you choose to use. These percentages are not crucial to the outcome of the final product unless you “over feed” (with molasses) the “culture medium” (the water you use to propagate them in). The microbes need room to grow and breathe. So the most important issue is that you give them enough fresh water to grow and expand in. Don’t over feed them (with molasses), because this will cause your final product to become overly acidic. So remember please, that for best results: (*starting with a 12oz bottle of Liquid Bokashi): mix together (*in a 5 gallon container) – 1 part Liquid Bokashi and 1 part molasses, into 8 parts water (distilled water or spring water), stir it vigorously. Allow a few days for the microbes to grow and increase in population (24-48 hours) at cool room temperature). Thereafter… Pour and mix in vigorously, additional distilled water or spring water (or clean city tap water) until the (*5 gal.) container is full to the brim. Seal the container well and allow it to propagate for an additional 1-2 days. Then apply this activated and diluted mixture immediately to the moist (or wet) target soil. As with raising bread (with yeast) or as with yogurt, beer and wine, or kombucha, the colder the temperature, the longer it takes to accomplish the fermentation process. An important point to bear in mind is that the process is done without leaving any air in the top of your container. Any local home brewing supplier will have the materials you will need to successfully propagate. These items include airlocks, carboys, tubing, etc. Airlocks and other brewing equipment can be found online through many home brewing suppliers or at a local home brew supply. If you want to keep it really simple, you may use a clean, well-washed with soap and water (sterile) 5 gallon container from the local hardware store with a snap-on on lid (that has a rubber seal). These 5 gallon containers are very good because they can take a reasonable amount of pressure, will release excess pressure as the seals are not too tight, and they can be purchased virtually anywhere (and are inexpensive). Use a clean airtight plastic bottle or container or large tank with screw-on lid. Use a container appropriate to the volume of the recipe being made. Avoid containers that have large air space as the excess air tends to interfere with fermentation and sure use containers with lids that seal properly (if using such a 5-gallon pails). Use only fresh, clean water. Distilled water is best; sterile spring water is great! Tap water is fine, but not preferred (and yes, even if chlorinated if you cant get distilled or spring water in sufficient quantities depending on the scale of your insertion). Use blackstrap molasses. Avoid using beet molasses or corn syrup as they tend to spoil easily. Mix ingredients in the container. Check the initial pH with a pH meter or pH paper. Confirm you have achieved airlock and that there is little (or no) excess air at the top of the container. Be aware that a good airlock may result in some liquid being forced through the seal, so take this into consideration to avoid damage to your cultivation environment. Ferment at room temperature for 24-48 hours. Some time between day 1 and 3, remove the lid (remember that pressure may have developed in a warm environment) and check the pH of the liquid, using a pH meter or pH paper. If the pH is 6.5 or below, stop the fermentation process immediately to avoid production of too much acid (vinegar-like taste and smell). Toward the end of the fermentation, check the smell of the product. It should have a sweet-sour bouquet and some slight alcohol smell, some white flakes floating on top of it is ok.. (lacto-bacteria and fungi) and it should look and smell similar to the original Liquid Bokashi. If all these are true, it is ready to use. The initial fermentation process takes roughly 1-2 days. During this time sugars are being digested by the microbes. As they do this, they produce various acids and gas bubbles that cause the pH to drop. The pH is the measurement of Alkalinity (bases) and Acidity (acids). You can easily measure this using some pH paper. Electronic pH meters are best but costly, and are sold through scientific companies and on Amazon; however, they require maintenance and calibration and can vary in readings between meters if not set properly. If you choose to use an electronic meter, maintain it well and always recalibrate the meter every time before use. If you’re using pH Paper… There is a color chart on the side of the package that is used to gauge the pH. You generally do not start checking the pH until about 2-3 days after you mix and start the fermentation. However, if you would like to know the starting point and the finishing point, you can check the mixture before fermentation and at least once daily in the morning. When the pH of the solution drops to 6.5 – 7 and has rested at this pH for 1-2 days, the Activated Liquid Bokashi is ready to use. The target pH is 7 to 8.5. You will have about 24-48 hours to use it at this point. **During the fermentation process, pressure builds up in the containers as the microbes digest the carbohydrates (sugars). To avoid rupturing the container, vent it; open it every morning or evening and reseal. Venting may have to be done one or more times per day. You may also use airlocks or blow off tubes similar to what is done in brewing wine or beer. Activated Liquid Bokashi should be kept in an air-tight container to keep it anaerobic and used within 1-2 days before the pH drops below 7. Speed of fermentation: Usually larger batches ferment faster than smaller ones. Sometimes the pH drop will only take 12-18 hours to commence, depending on the ratios and temperatures and pressure build up. Usually we plan for the pH drop to take about 2-3 days but check it daily! Liquid Bokashi likes lukewarm (to moderately cool) conditions. Keep the material in a relatively lukewarm area while it is fermenting. (for example, a dark root-cellar is too cool for it to ferment quickly and direct sunlight, even in a cool room can cause overheating.) In the winter, when the temperature is low, place the fermenting mixture somewhere to keep it lukewarm. There is no need to incubate or heat the product as this actually tends to prevent the gentle growth and can impede the process. Type of Molasses: Organic molasses is best. Air causes the Activated Liquid Bokashi to spoil. This includes extra air space in the bottle. Be sure to leave as little airspace in the bottle as possible when fermenting. Try not to make more product than you can use within a week or two to avoid wasting product. If Activated Liquid Bokashi has a foul smell, the solution is likely to have become contaminated with something foreign and it should be discarded. This “spoiled” material is helpful however in other ways when poured down a household drain or flushed in a toilet (especially septic tanks as it will still be beneficial to downstream environments). Now that you have some “sweet-n-sour” smelling Popagated Liquid Bokashi, you’ve let it mature for 1-2 days and the pH hasn’t dropped below 6.5 – 7 pH, you need to start using it. Simply follow any of the application rates on our website with the “Activated Liquid Bokashi” that you’ve just made and be certain to irrigate the target soil thoroughly before applying the solution that you’ve prepared! Can I use a sugar other than molasses? No, because other sugars tend to fail. This is due to the varied quality of sugars and the fact that most other sugars have been “demineralized.” Molasses is the carbohydrate (sugar) of choice, because it has many minerals essential to the metabolic processes of living creatures and is usually the least expensive of viable feedstocks. Some sugars are corn-based so beware. The corn-based sugars that have usually been demineralized also spoil quickly. Honey can have wild yeasts that affect fermentation and the natural antibiotics in honey itself which are part of the bees’ immune system will adversely affect the process. (We also discourage the theft of the bees food stock. Honey is not a genuine vegan or vegetarian food source for those of you who care about such matters). How do I know if my Propagation process has gone bad? Does it smell bad, like a strong sulfur smell, or vomit? Sulfur is a sign the phototrophic bacteria are dying off. Although they will leave spore behind, the balance of the consortia of probiotics may have been thrown off. This “corrupted” product can be inserted beneficially into a septic system or a compost pile. The vomit smell is caused by a contaminant bacteria known as pediococcus, but does not mean the product is bad, just that it cannot be used for odor control (which one of the interesting benefits for use on composts and in cat litter, for example). When the culture-product is dying off it will leave beneficial spore suitable for septic systems or can be poured into grey water systems or into natural streams and rivers. Various phenol smells are detectable during a healthy propagation process. Phenols are alcohols. Beware that they may burn the nose slightly when a big sniff is taken upon opening the bottles. The color will bcome lighter, more tranlucent and reddish/violet during the propagation process. Healthy yeast growth will result in an accumulation of white “flakes” and bubbles are to be expected (effervescence like in beer or champaign). A thin layer of yeast (white stuff), about 1-2 mm is expected and beneficial, but if the white layer is too thick, this is an indication that there is too much air inside the propagation vessel and the product is likely to spoil. Can I go through the propagation process again, starting with home-propagated material? For more detailed info contact us. We are very grateful for your interest and we look forward to supporting your efforts in making the world a better place. We all win when, we implement sustainable lifestyle decisions and put Climate-Smart Solutions (TM) into practice. If you have any feedback or questions, please fill out the form below and we will get back to you as soon as possible.